I don't have as many Usha Khanna soundtracks as I probably should. 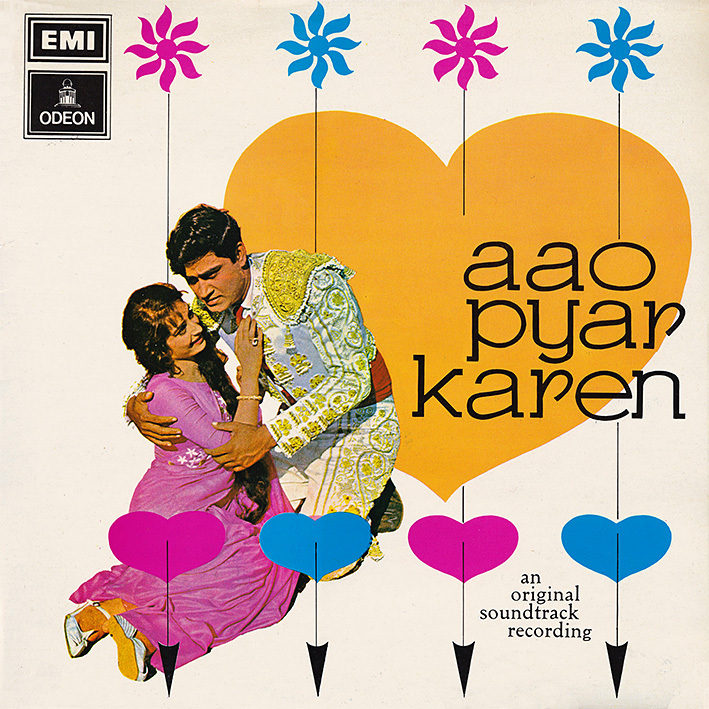 'Aao Pyar Karen' might not be the best I've heard of hers, but it does feature several appealing songs, the arrangements of which, while neither particularly innovative nor adventurous, seem perfectly fitting. Many have a pleasantly bucolic, almost sedate feel to them; 'Bahare Husn Teri' and 'Ek Sunheri Sham Thi' are particularly noteworthy. Others are livelier, like the title track, 'Dilbar Dilbar' (criminally, they've chopped of its intro on the record) and 'Jinke Liye Main Diwana Bana' (ditto; argh!). Usha Khanna was nothing if not an exceptionally good songwriter. thanks a lot. really appreciate these. ...in a Bullfighter outfit? Seriously? Yikes!